A Modesto man charged with plotting a terror attack in San Francisco on Christmas Day "in support of ISIS" trained at Marine Corps Base Camp Pendleton, military records show. 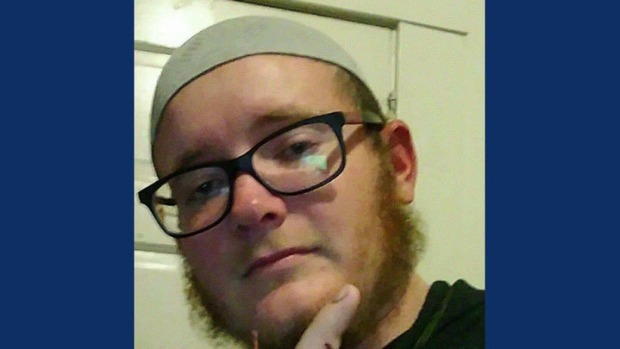 The suspect, Everitt Aaron Jameson, 26, is accused of providing "material support or resources to a foreign terrorist organization" between Oct. 24 and Dec. 20, and expressing his willingness to "do anything for 'the cause,'" according to an affidavit filed by FBI Special Agent Christopher McKinney. The plot was uncovered by way of a monthslong sting operation that involved two undercover FBI employees and a confidential informant. Jameson enlisted in the Marines in Sacramento, records show. He attended basic Marine Corps recruit training and served at Camp Pendleton from June to November 2009, where he trained at the base's School of Infantry. Jameson had earned a "sharpshooter" rifle qualification, but was discharged for "fraudulent enlistment" after failing to report that he had asthma. According to the court document filed by the FBI, Jameson singled out San Francisco's Pier 39 as a "possible target location, noting that the best place would be a large area." He picked the popular tourist destination, saying he was familiar with it and wouldn't need to scout the location beforehand. The time in question for the attack was between Dec. 18 and 25 because, according to Jameson, "Christmas was the perfect day to commit the attack." When asked about an escape plan, Jameson replied "he was ready to die." Jameson converted to Islam two years ago, the court document said. The Merced Islamic Center told NBC Bay Area that he went to the center two or three times to worship by himself, but nobody there really knew him on a personal level. According to the complaint, Jameson "espoused radical jihadi beliefs, including authoring social media posts that are supportive of terrorism, communicating with people he believes share his jihadi views and offering to provide services to such people, including in the form of his presumably employer-provided tow truck in service of the 'cause.'" Jameson used derogatory terms to refer to so-called enemies of radical Islam, the court document stated. "Kufr" or "kuffar," he called them. 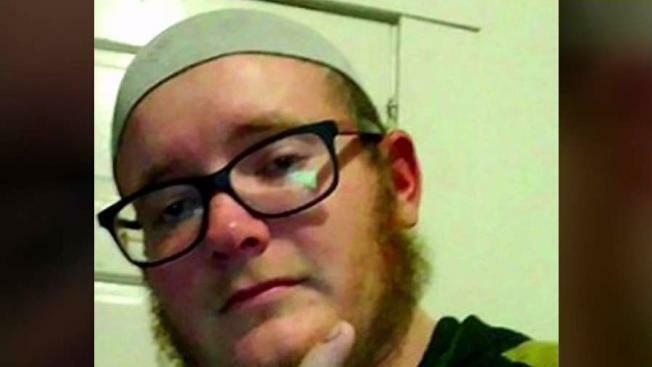 A confidential informant also reported that Jameson spent time "liking" and "loving" Facebook posts that were "pro-ISIS and pro terrorism," including one that featured Santa Claus armed with dynamite in New York, according to the court document. The suspect allegedly professed support for the vehicular terror attack that killed eight people in New York City on Oct. 31 and for the 2015 mass shooting that claimed 14 lives in San Bernardino. Jameson "wanted to use a combination of the two" attacks, which McKinney believes is an indication of him wanting to inflict "casualties through the use of a vehicle and firearms." In terms of how he could support ISIS' cause, Jameson offered funding, referred to his previous military experience — training in “combat and war” and the use of M-16 and AK-47 rifles — and said he could "blend in" or "shock and awe," according to the documents. In online interactions with an undercover FBI agent, Jameson also said he was willing to travel to Syria. The pair met on Dec. 16, the court document shows. At one point, Jameson stated he needed equipment such as PVC pipes, powder, nails, timers and detonators to purportedly build some sort of explosive device. Law enforcement officials said those materials were never provided. Jameson said he could "go to the mountains" to build the explosive devices and then return home to store them, according to the document. But on Dec. 18, when the FBI employee tried to arrange a follow-up meeting, Jameson said that he was "very busy tonight." He then backed out of their plan. "I also don't think I can do this after all," Jameson wrote. "I've reconsidered." The employee said, "We only can do Allahs will," according to the document. Jameson responded: "In Sha Allah one day I can. But I can't." On Dec. 20, a search warrant was served at a residence in Modesto. FBI agents recovered three firearms — a Winchester .22 caliber rifle, one Ruger M77 rifle, a 9 mm handgun — along with ammunition, fireworks, a will and what appeared to be a suicide martyrdom letter. Dated Dec. 16, the letter derides the U.S. as "nationalistic" and "Godless" and criticizes President Trump's decision to recognize Jerusalem as the capitol of Israel. FBI agents spoke with Jameson after his arrest. During the interview, "Jameson stated his support of ISIS and terrorism and discussed aspects of the plan to carry out an attack, noting that he would be happy if an attack was carried out,” the court document noted. The San Francisco Police Department said Friday that people can expect to see an uptick in police presence at the city's attractions through the holidays, but they had planned for the additional enforcement before this alleged plot came to light. Acting Mayor London Breed said that there are no outstanding threats to the city in connection to the investigation into Jameson's alleged activities. Attorney General Jeff Sessions issued a statement, saying in part: "The Department of Justice works resolutely every day to prevent terrorist attacks. In my time back at the Department, nothing has impressed me more. Today, our incredible law enforcement officers have once again helped thwart an alleged plot to kill Americans." Jameson is slated to appear before U.S. Magistrate Judge Barbara A. McAuliffe at 2 p.m. on Friday. If convicted, he faces a maximum prison sentence of 20 years and a $250,000 fine, according to the FBI.